Do you want to hire an efficient and cost-effective Man with Van Removals in London? Need an efficient and cost-effective Man with Van Removals in London? 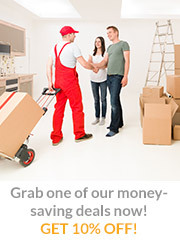 Are you after a trustworthy Man with Van Removals service for your property at , London, ? Hire our Man with Van Removals company that serves London for all your relocation needs; we deliver five-star Man with Van Removals services at low cost. If the amount of items you need moving exceeds the amount you have the initially discussed with our London customer care team over the phone or via e-mail, we may charge you additionally after our experts in Man with Van Removals arrive at your address in London to perform the service you booked. *The time we will charge you for starts exactly when our team arrive at your address. The moving vehicles in our modern fleet are equipped with trolleys, moving blankets and GPS systems. Ryan Man and Van Services provides a variety of man and van services and moving solutions, as our services on offer include pre-move preparation, free estimate, packing, unpacking and house organising. Benefit from our low rates, money-saving offers and exclusive discounts! The amount of cubic metres/feet your job will be. The size and number of the items you want to relocate. The distance between your properties. The date and time of your removal. Additional moving services and materials such as boxes and other packing supplies. Dismantling and assembling of furniture and equipment. To get more information about any aspect of our man and van service, please contact our friendly and knowledgeable team on ‎020 3790 7075 and we will give answer to any of your questions and offer you the service you need at low cost. Contact us and we will offer you a free quote! Description: Man with Van Removals in . Exquisite Man with Van Removals in .